The entertainment capital of the world, Las Vegas. 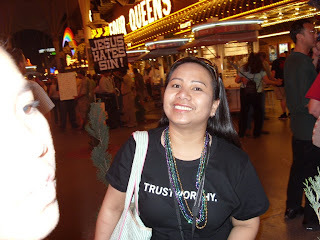 We went last saturday night at Fremont street here in Vegas. There were a lot of people at the famous street in downtown Fremont. It seems like there was a feast like the October Feast in Germany. There were lots of people that time because there were singer artist who performed. Really very fabulous. I still have to write more updates but I always don't have time since I am just borrowing the pc here...so sorry guys...i hope to visit you soon..
the new hired model of the street...bwahahaha!! a pose with the beautiful bar girls...don't forget to give a tip!! nagsabog ng lagim si rubybenz....hek ek ek!!! 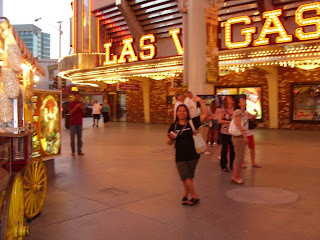 sis mao na bagong work nimo diha sa las vegas? MODEL? ikaw jud ha... hehehe..
elow sis twinks...mizyah na pud uy...cge lang human ni diri ako laag...back to normal na pud...hehehe....ok ra uy..take ur time...way kurat na..not in a hurry...tc..salamat kaayo ha!